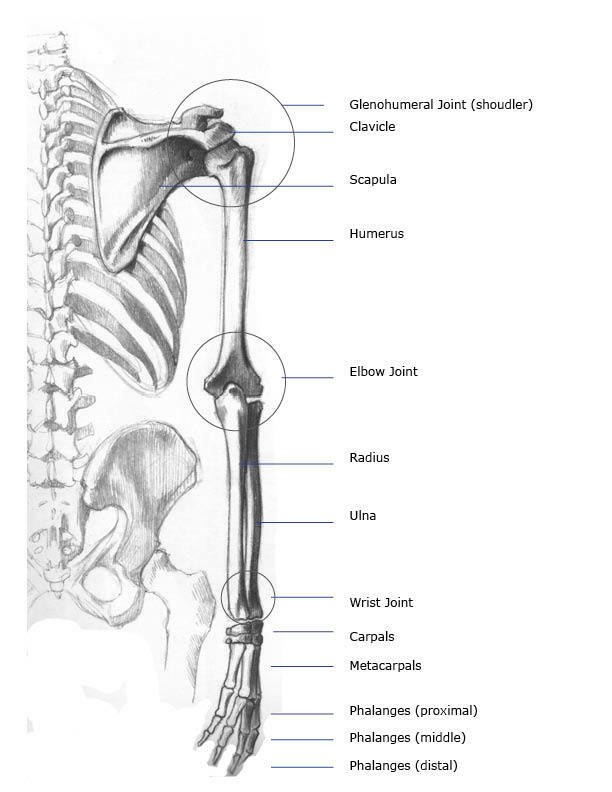 The arm (upper appendage) is part of the appendicular skeleton. The appendicular skeleton includes are limbs and pelvis and shoulders. Shoulder—links the arm to the trunk. It is located away from the trunk so the arm can move freely. The arm hangs vertically beside the trunk. Elbow—the elbow can bend from 15 – 180 °. When the elbow is bent, the shoulder and metacarpus are in the same plane. Wrist joint- otherwise known as “carpal.” The carpal joint links the forearm to the hand. 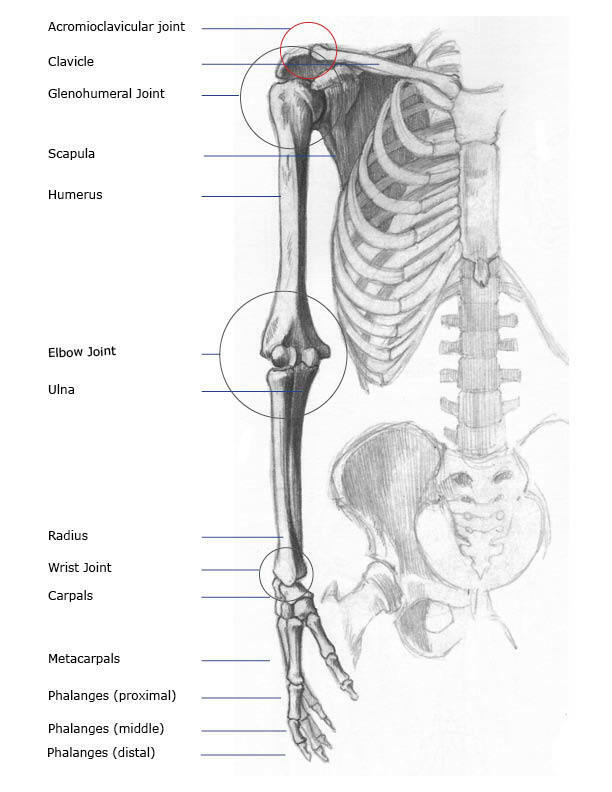 Includes the radius and ulna from the forearm, 8-9 carpal bones, and the proximal ends of the metacarpal bones. Finger joints- otherwise known as interphalangeal joints. These are the joints between the proximal and middle phalanges and then the middle and distal phalanges. These joints move the fingers toward the palm of the hand, also called flexion.